(Macao, Nov. 26, 2018) – Sands China Ltd. received its second batch of products from Guizhou's Congjiang County Nov. 26 at The Venetian® Macao’s loading bay. 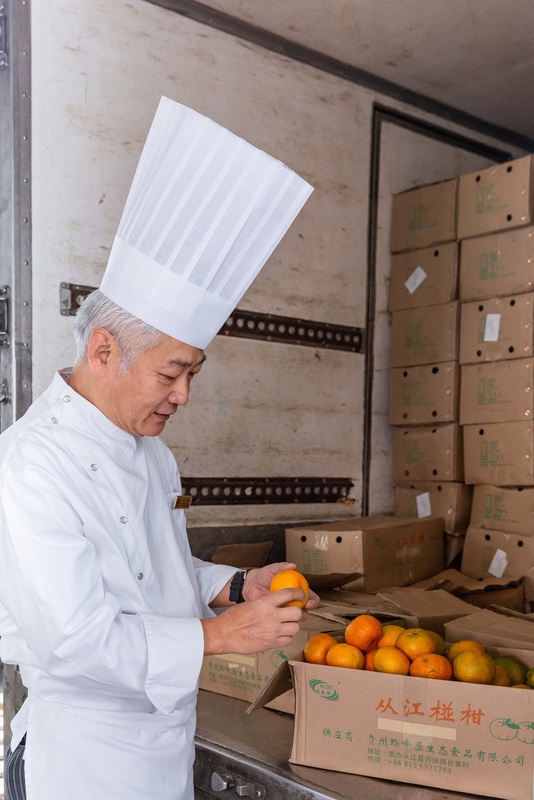 Sands China was the first integrated tourism and leisure enterprise in Macao to purchase goods from the county, and with this shipment is now the first to purchase its fresh produce as well. Sands China’s procurement efforts with Congjiang aim to support the impoverished county, in response to the Macao SAR government’s call for targeted poverty alleviation in mainland China. Initiated by the Macao Trade and Investment Promotion Institute (IPIM), the procurement drive seeks to strengthen cooperation between enterprises in Congjiang County and Macao, and to support mainland China’s nationwide poverty alleviation work. This latest shipment comprised 5,000 kilograms of mandarin oranges, 300 boxes of chili sauce and 600 boxes of bottled water. The goods were purchased from Congjiang through local Macao SME suppliers Produtos Alimentares de Restauracao Man Seng Limitada and Tak Seng Hang. Sands China will continue to explore and expand the range of agricultural products purchased from Congjiang in the future. Photo caption: Sands China Ltd. receives its second batch of goods Nov. 26 at The Venetian Macao’s loading bay from Guizhou's Congjiang County. The new purchase is the first from a Macao integrated resort operator to include fresh produce from the impoverished county, in support of the Macao SAR government’s call for targeted poverty alleviation in mainland China. Photo caption: Representatives from Sands China Ltd. and local suppliers present at The Venetian Macao’s loading bay Nov. 26 to receive Sands China’s second batch of goods purchased from Congjiang County.